In the name of Allah, the Merciful and the Compassionate! 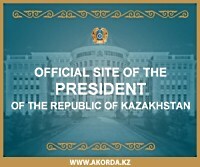 I am pleased to welcome on Kazakh soil the distinguished guests from all over the world. This meeting of leading politicians and business people of the Islamic world in Astana is taking place on the eve of our country’s chairmanship in the Organization of the Islamic Conference. I thank wholeheartedly the World Islamic Economic Forum Foundation and its chairman Mr Tun Musa Hitama for their decision to convene the 7th forum in Astana. Our beautiful capital, Astana, located in the heart of Eurasia, is turning into a significant hub of the world community today. Astana welcomed more than ten thousand distinguished guests during the past month only. Our capital hosted the 4th Astana Economic Forum and the 20th European Bank for Reconstruction and Development’s Annual Meeting. 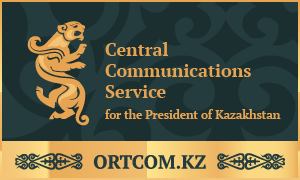 Kazakhstan became a member of the Organization of Islamic Conference in 1995. Cooperation with the Islamic world is one of the priorities of Kazakhstan’s foreign policy. Our country is considered by the Islamic World as the integral part of the Muslim community. Since entering the OIC, Kazakhstan has gradually developed its interaction with the General Secretariat, subsidiary bodies and institutes of the Organization.